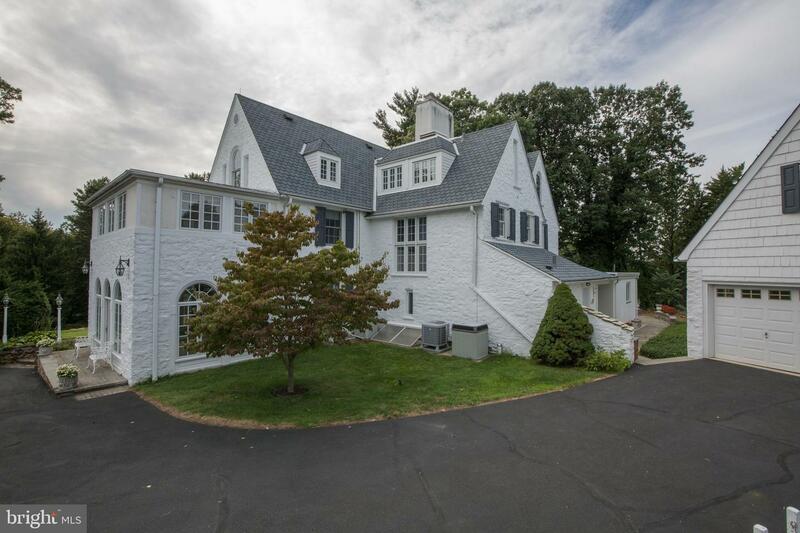 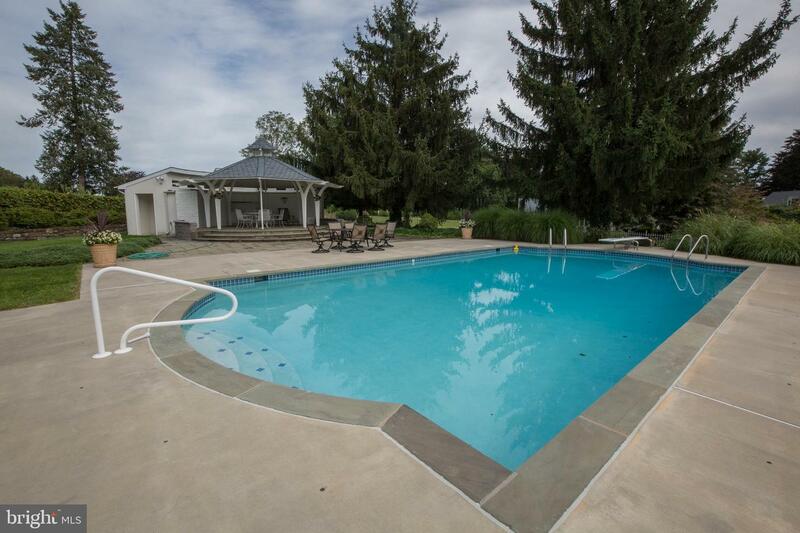 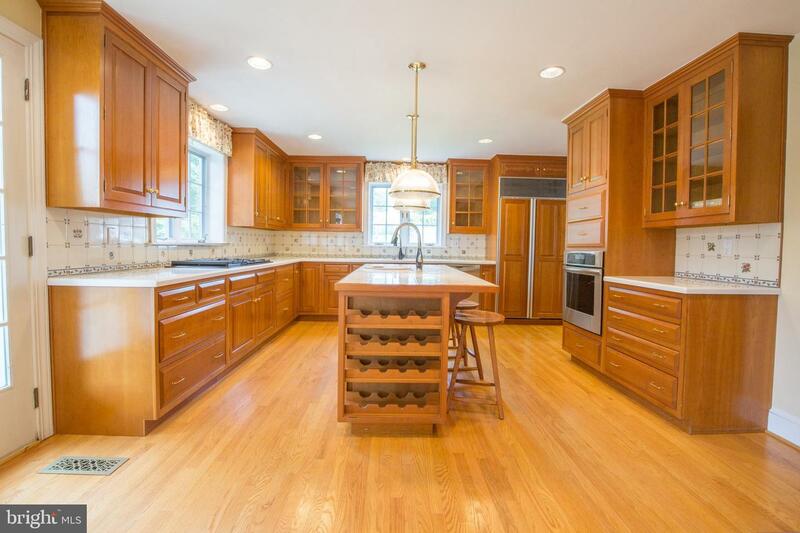 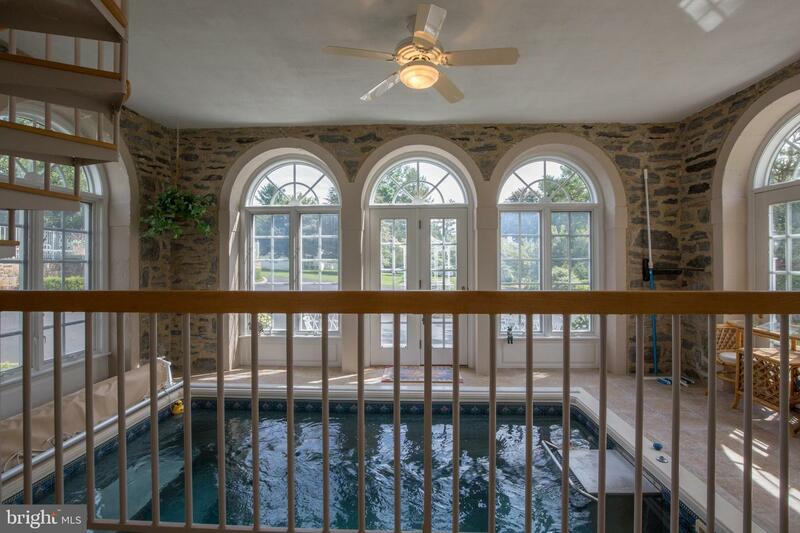 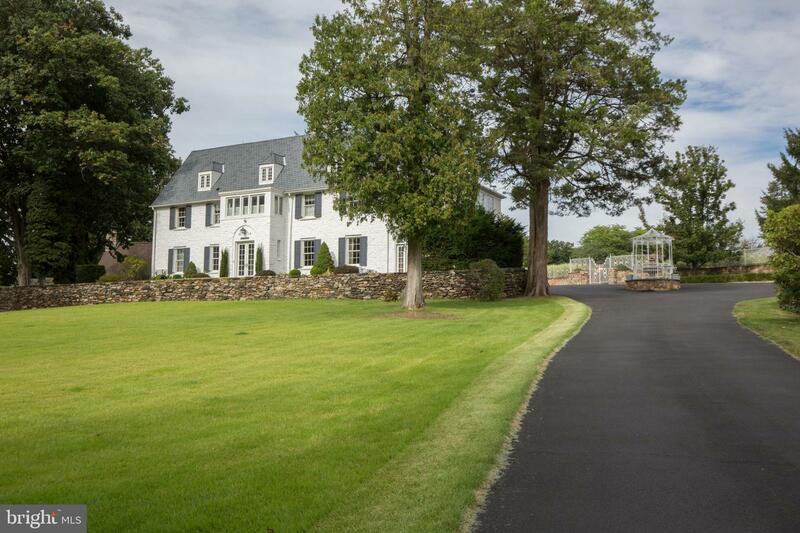 This spectacular 6,114 square foot estate is situated on 1.73 acres, steps away from Lower Moreland, Huntingdon Valley, with LOW TAXES of $8,328. 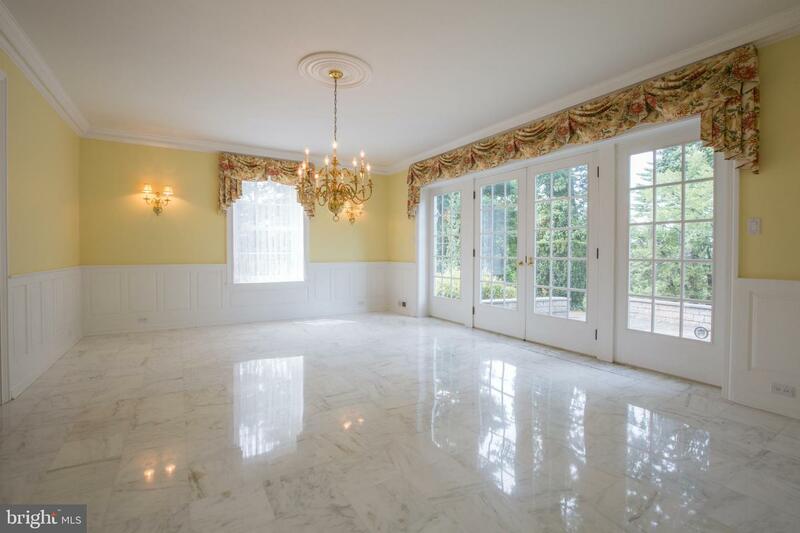 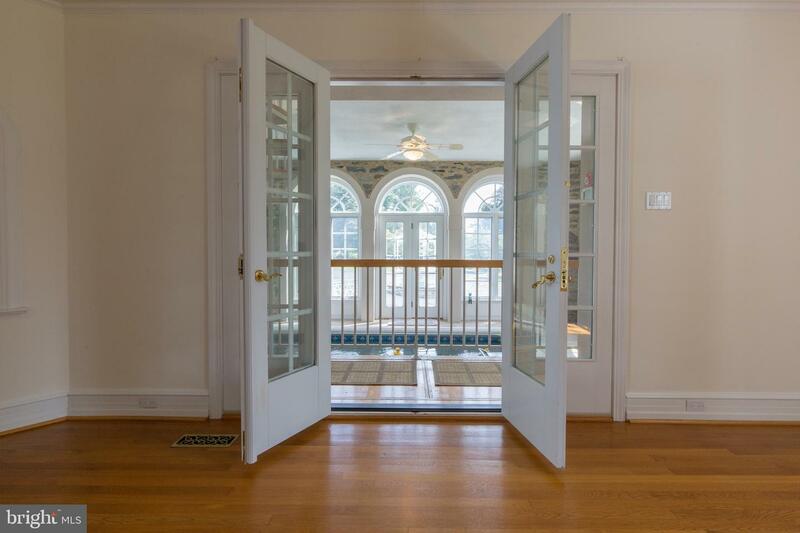 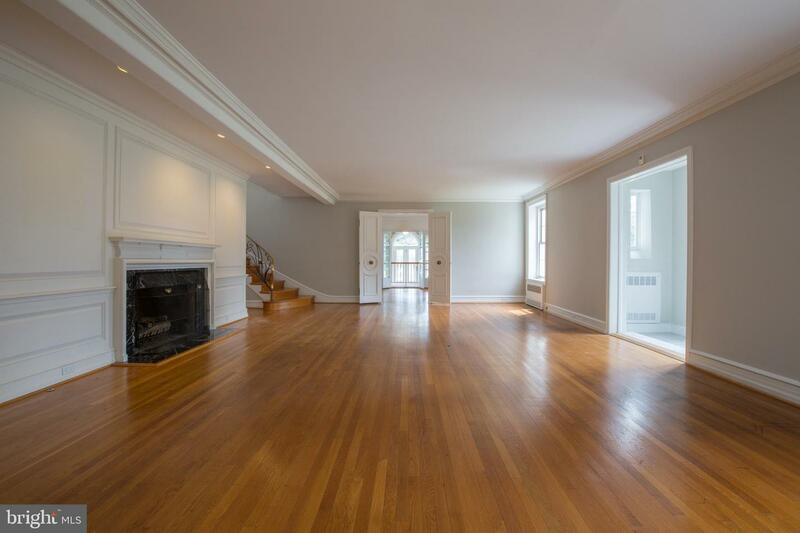 This elegant home features a marble floored entry, enormous Great Room with a gas marble fireplace, built-ins, custom sized window with deep sills, hardwood floors and a formal Dining Room with marble floors, beautiful crown moulding. 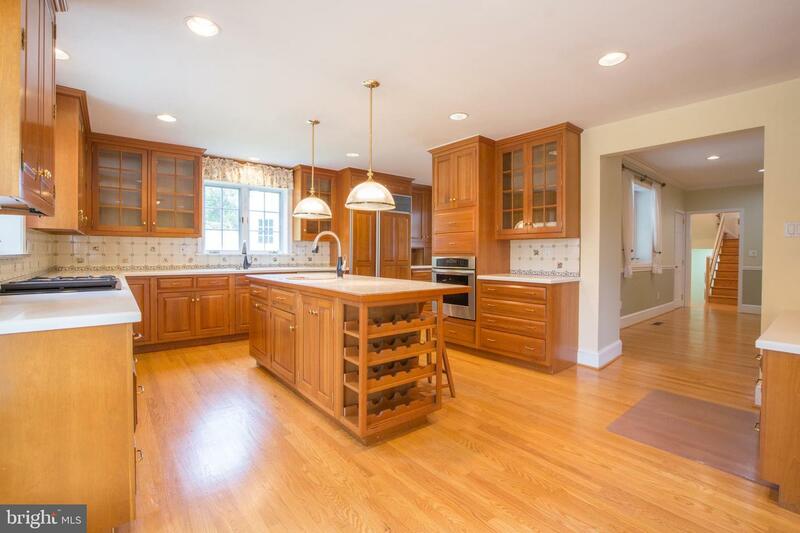 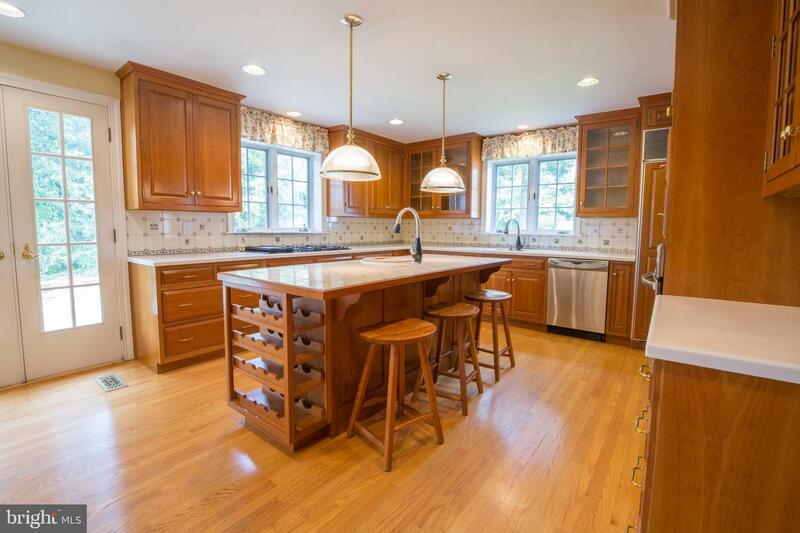 The gourmet kitchen has an island, desk area, tons of cabinets, corian & tile backsplash, built-in pantry, sub zero refrigerator, plus refrigerator & freezer drawers, additional prep sink, Jennair cook top, Butler's pantry and French Doors that lead to a large slate patio. 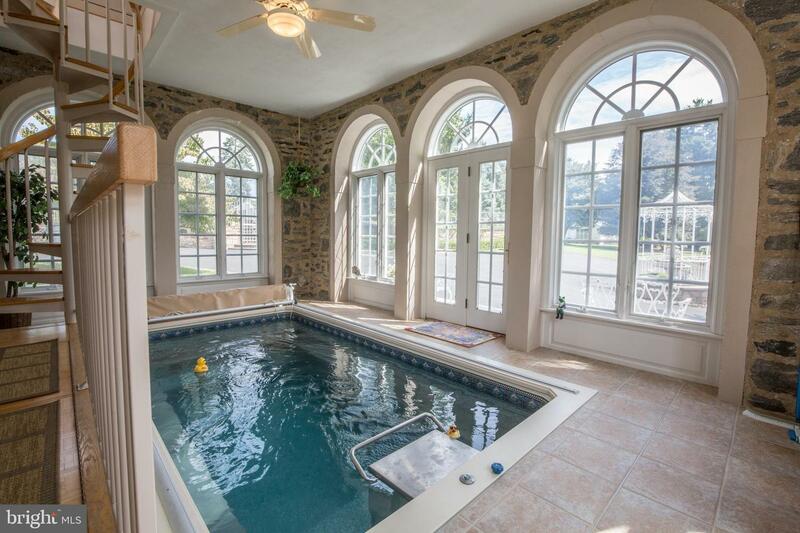 The main floor also features a Parlour, Den, 2 staircases, 2 powder rooms and a indoor endless pool surround by palladium windows. 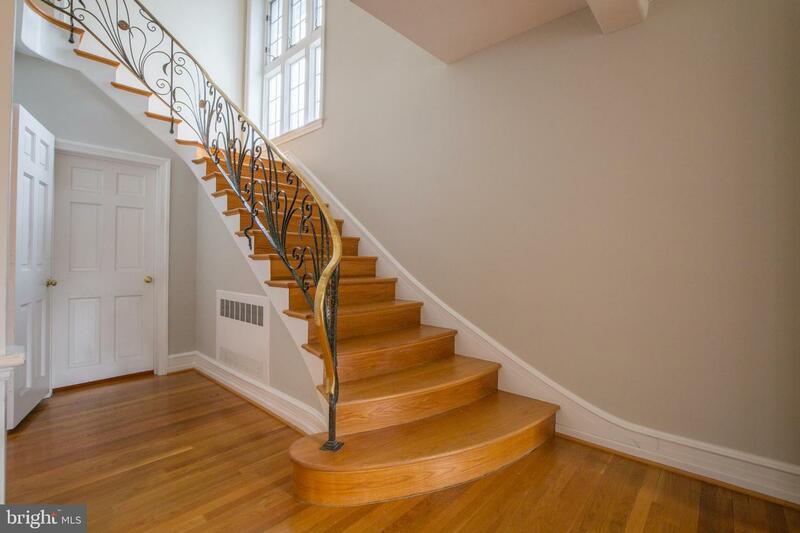 Ascend the dramatic spiral staircase to the second floor which features the Master Bedroom with a sitting room with walls of windows, skylight and a spiral staircase down to the indoor pool. 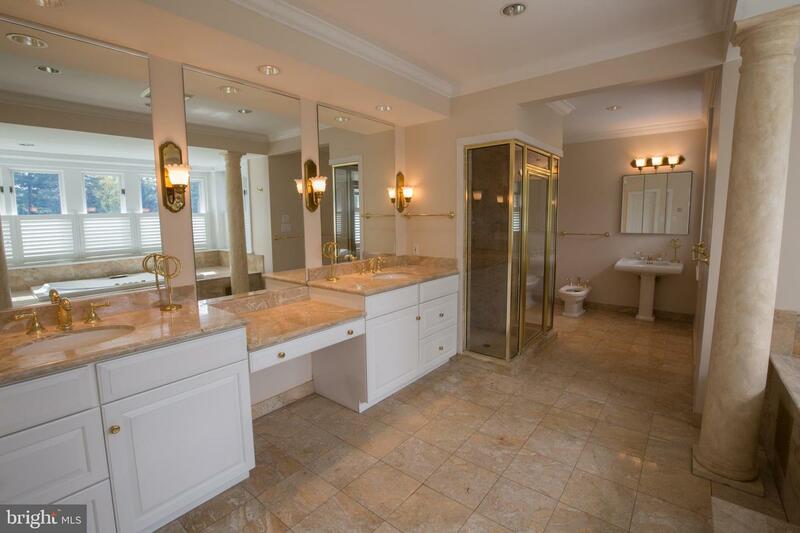 The Master suite also has a walk-in closet, luxurious Master Bathroom, with a Soaking Tub, large shower, bidet and double vanity. 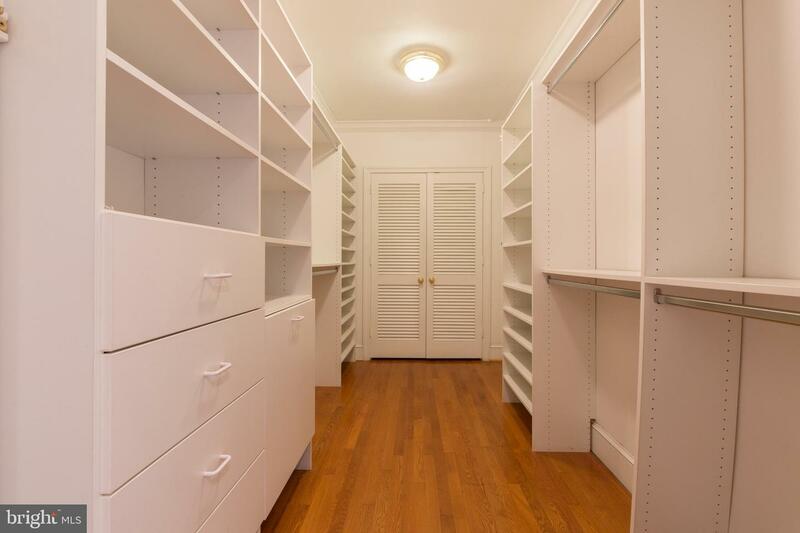 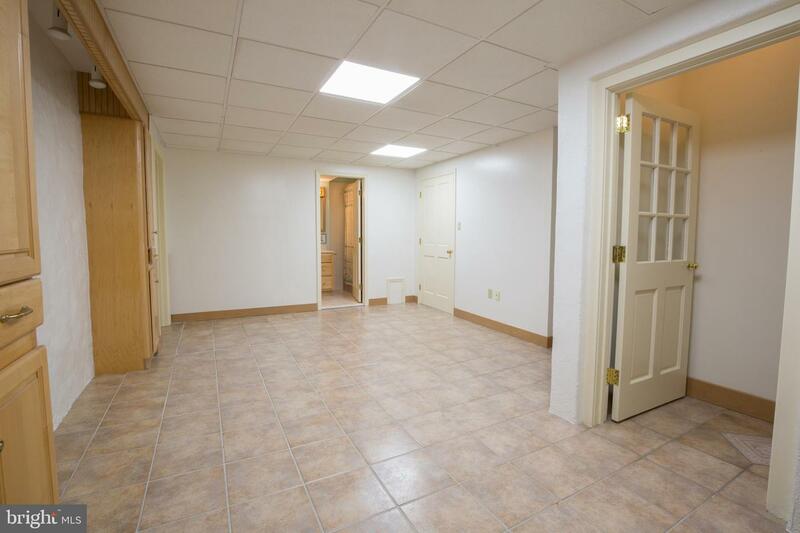 There are 2 additional large bedrooms on the this floor with walk-in closets and a full bathroom. 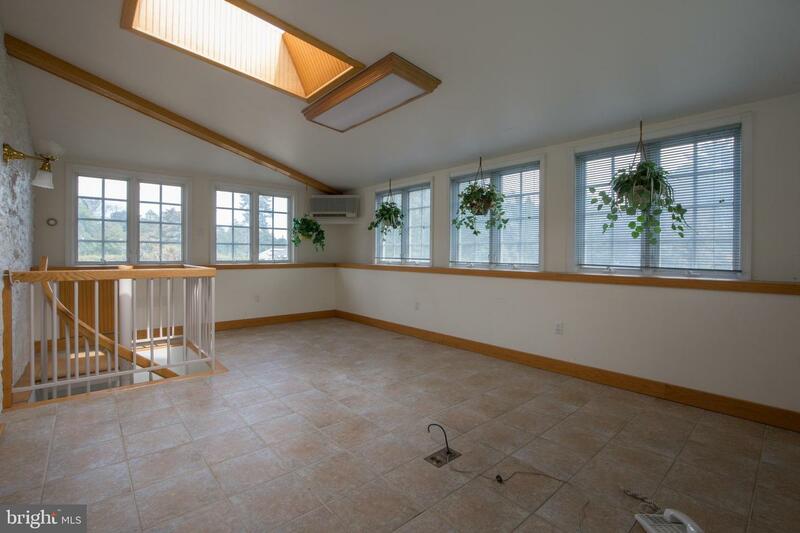 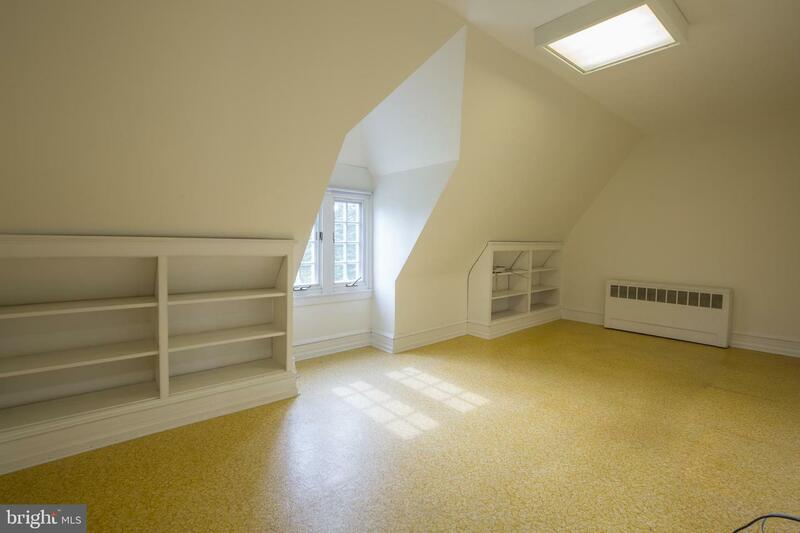 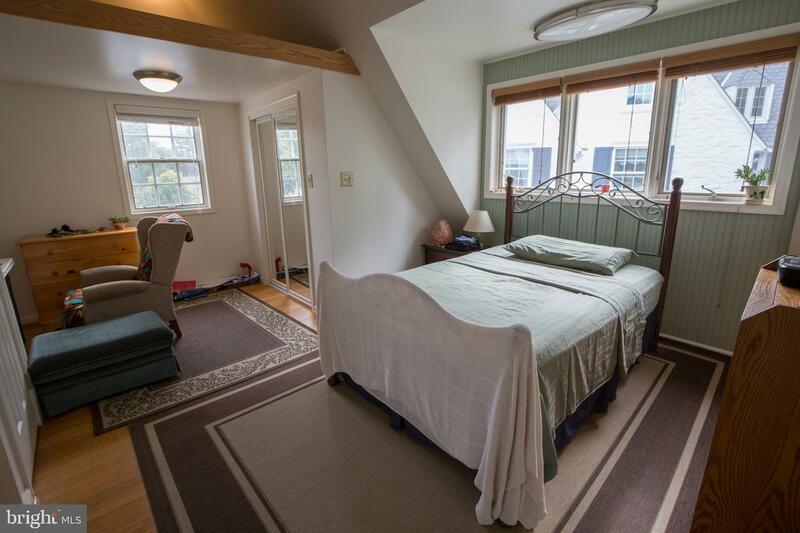 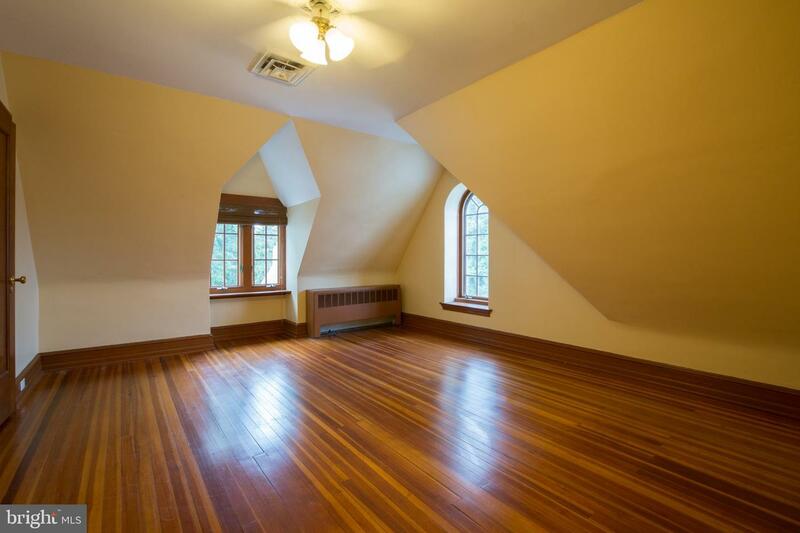 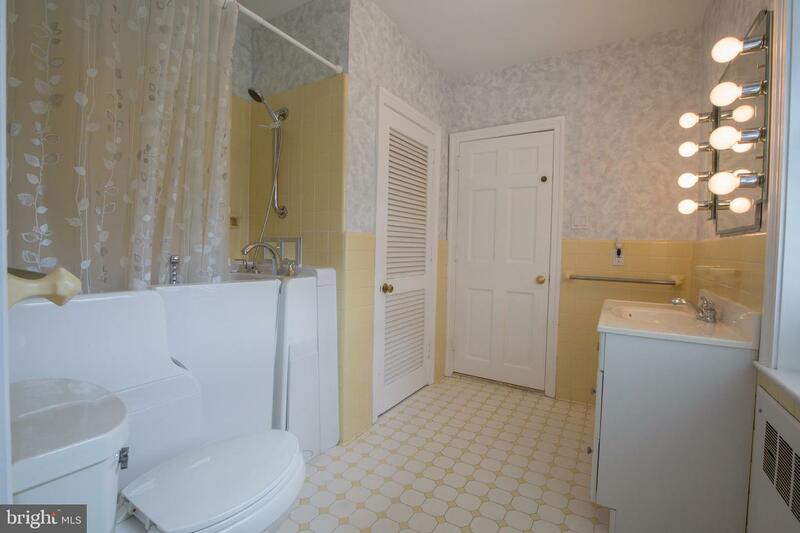 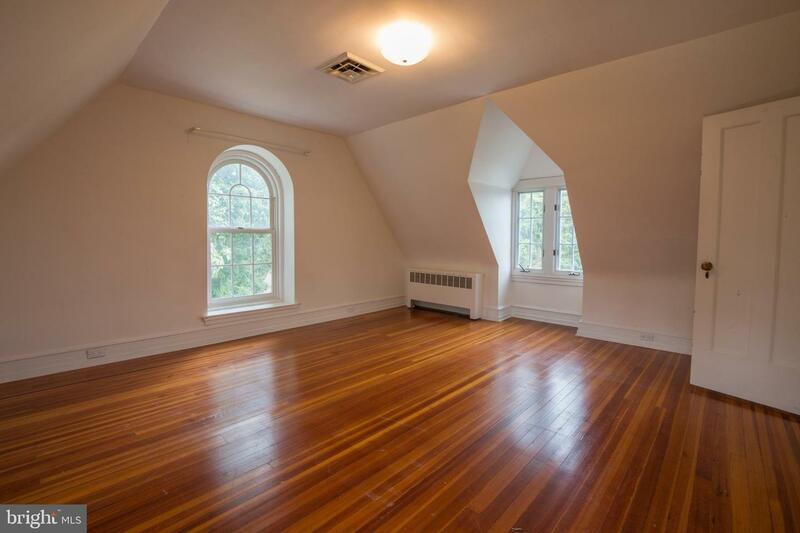 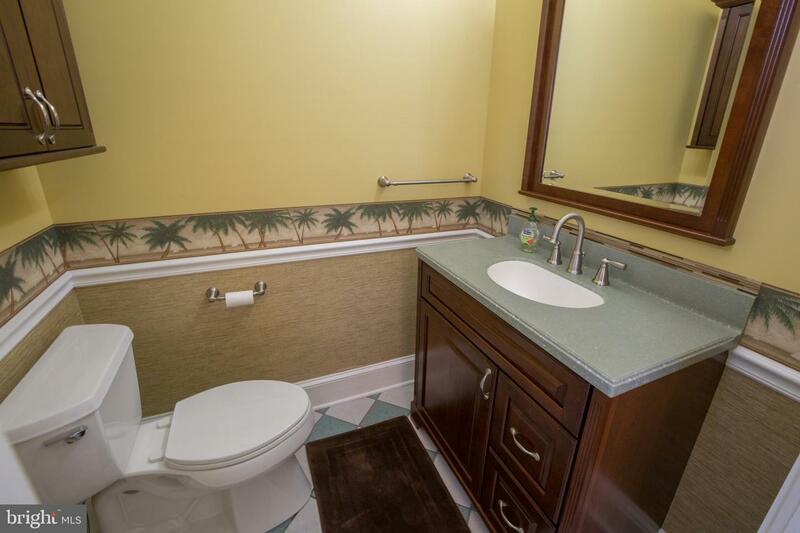 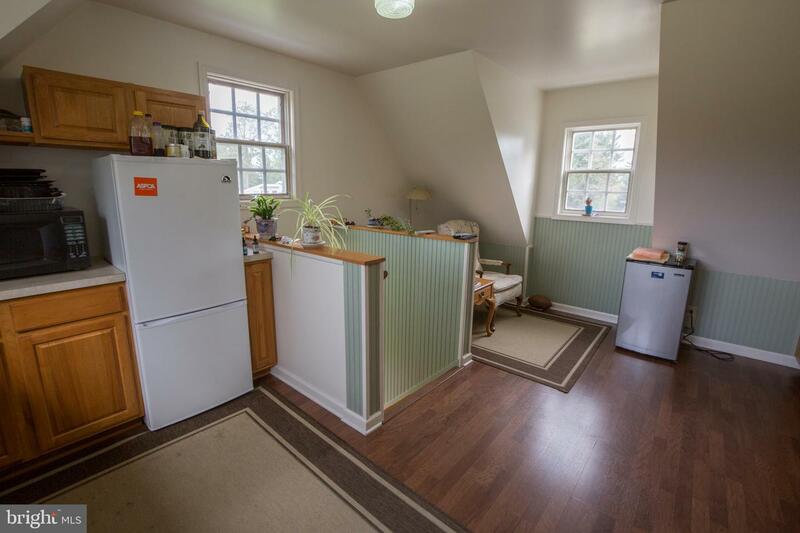 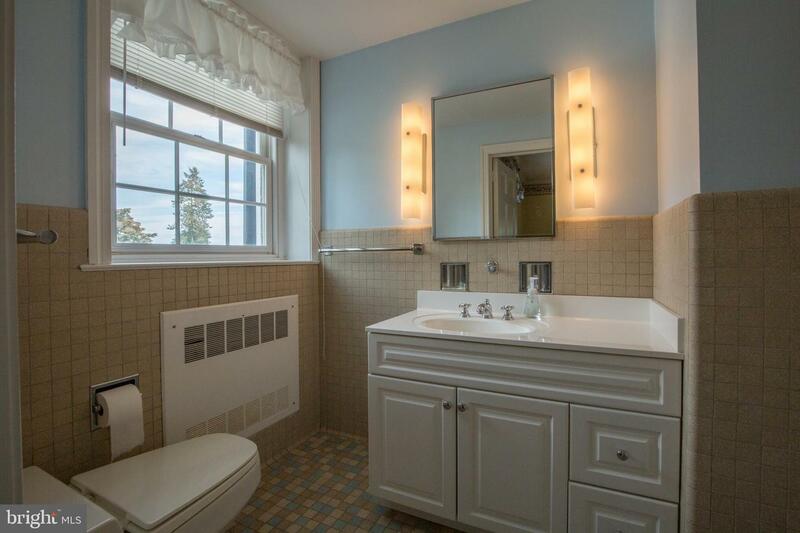 The third floor features 3 more bedrooms with cozy eaves, an office and 2 more full bathrooms. 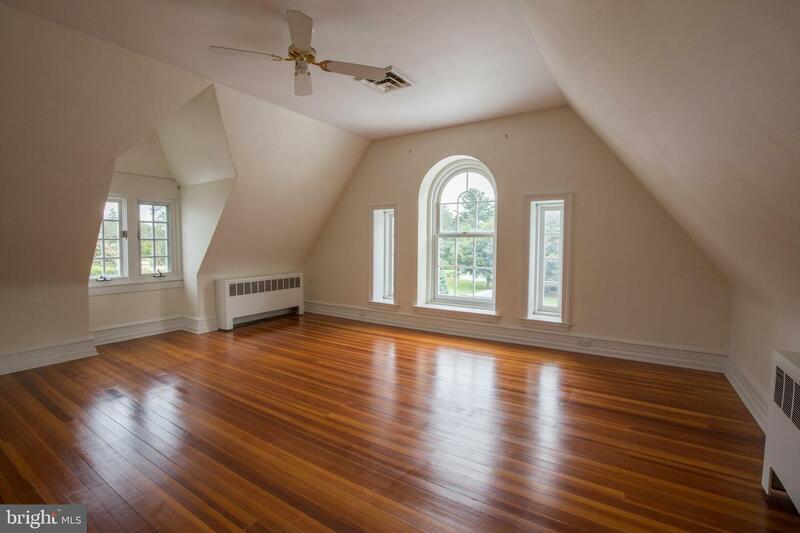 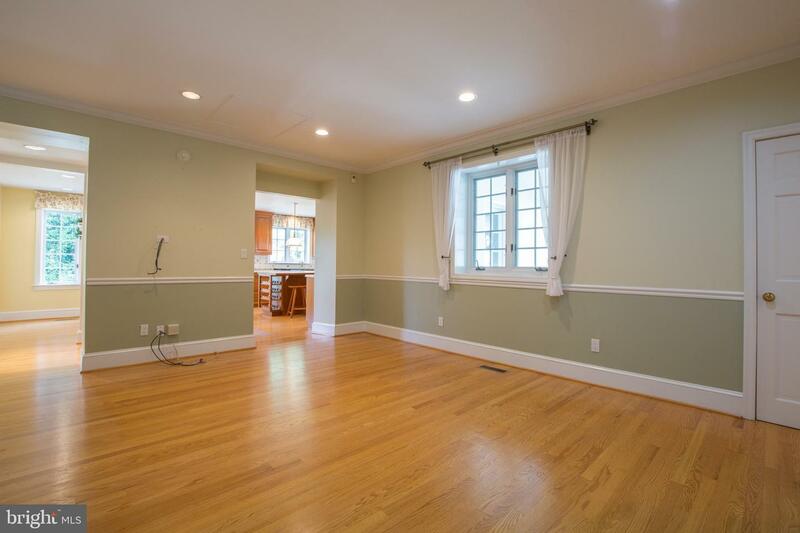 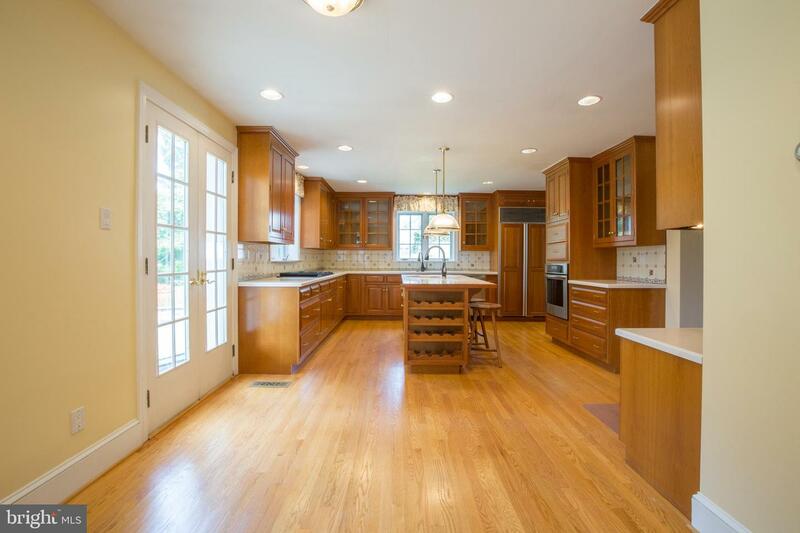 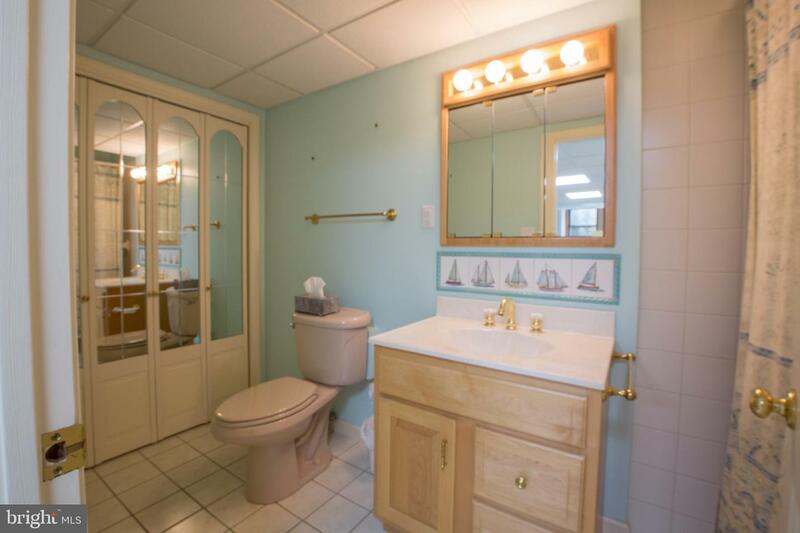 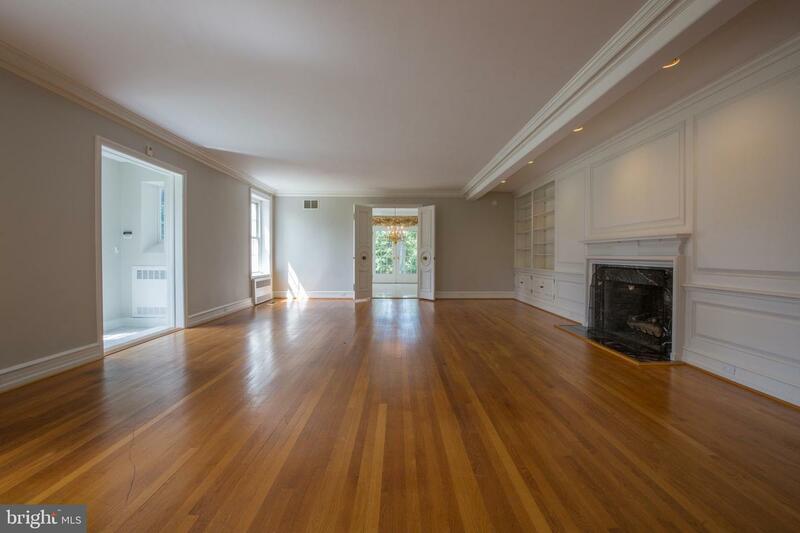 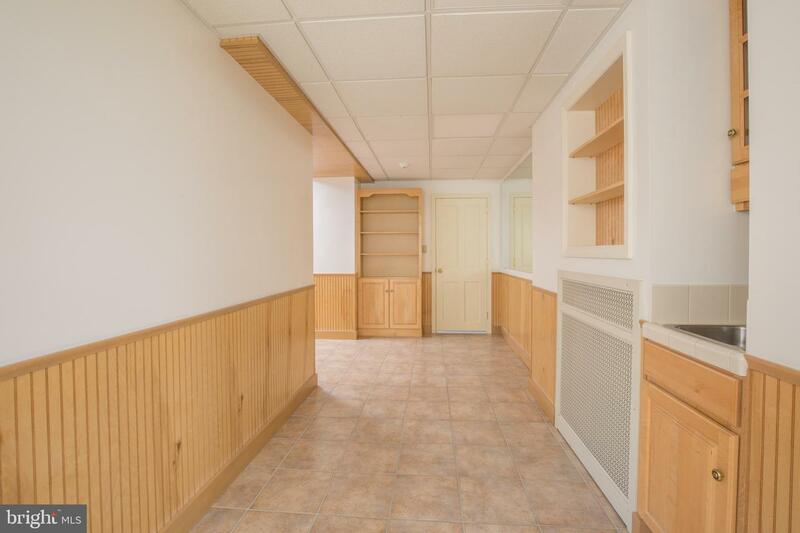 This home also has hardwood flooring in many of the rooms. 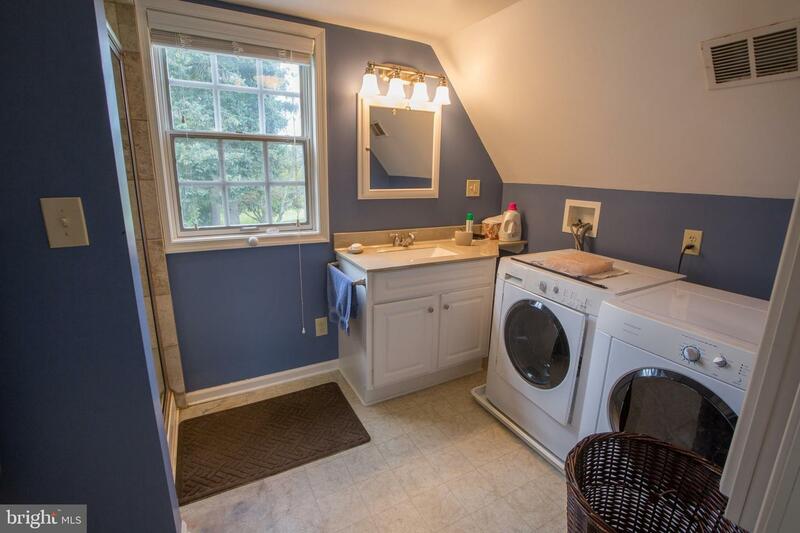 The basement is finished and has a Family Room, full bathroom and laundry area. 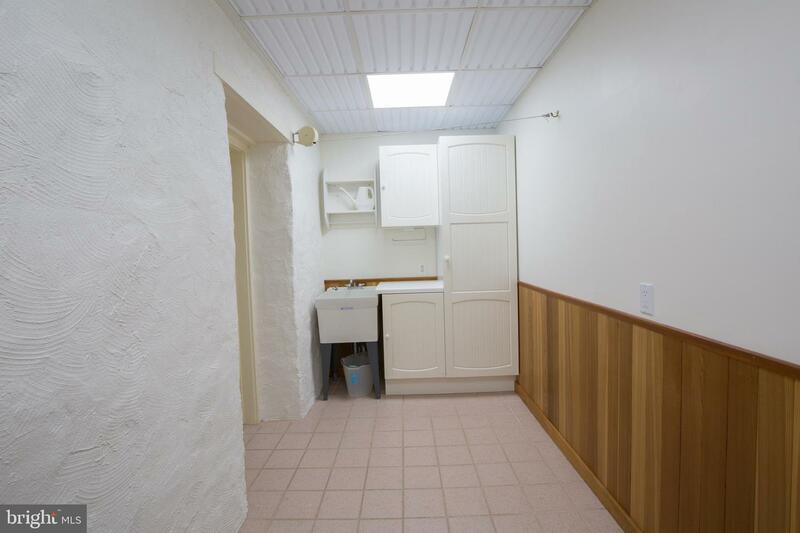 This property also has a 3 car garage with a one bedroom apartment above complete with a kitchen, full bathroom, laundry area and could be perfect as an in-law suite, au pair or studio. 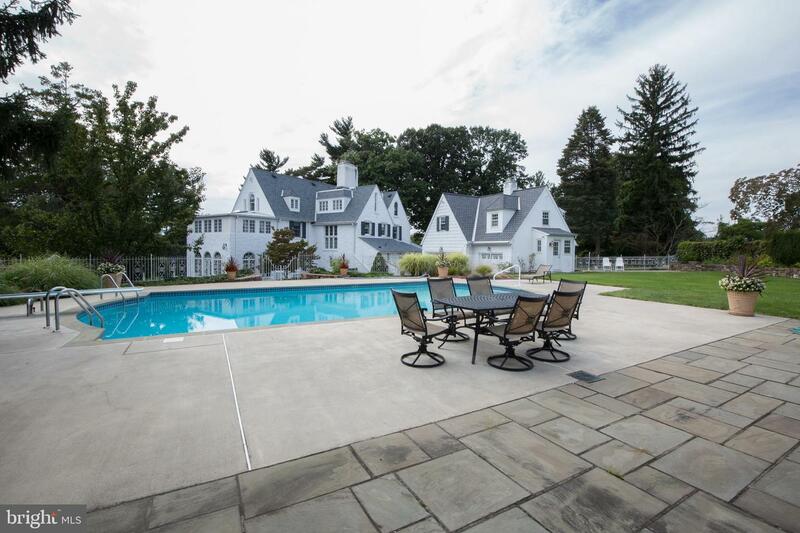 The grounds and views are breathtaking. 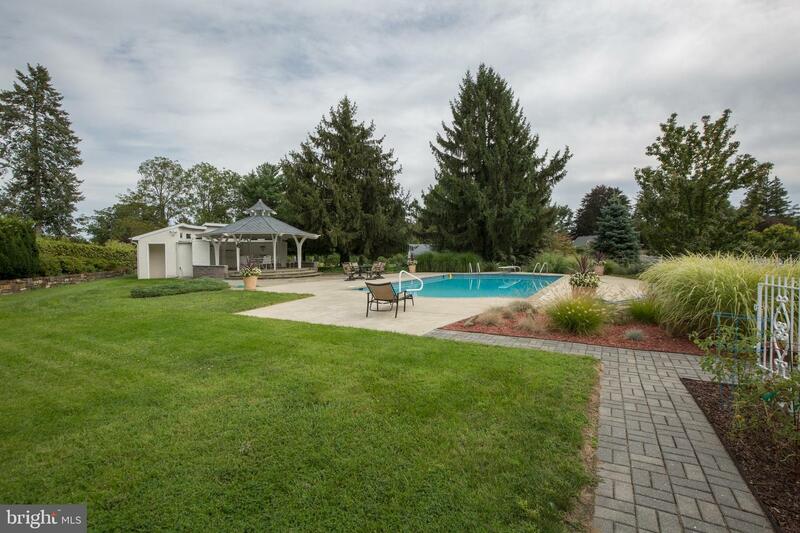 Relax in the outdoor pool area, complete with an outdoor shower and bathroom and flagstone patio This estate is located near shopping, restaurants, and major highways. 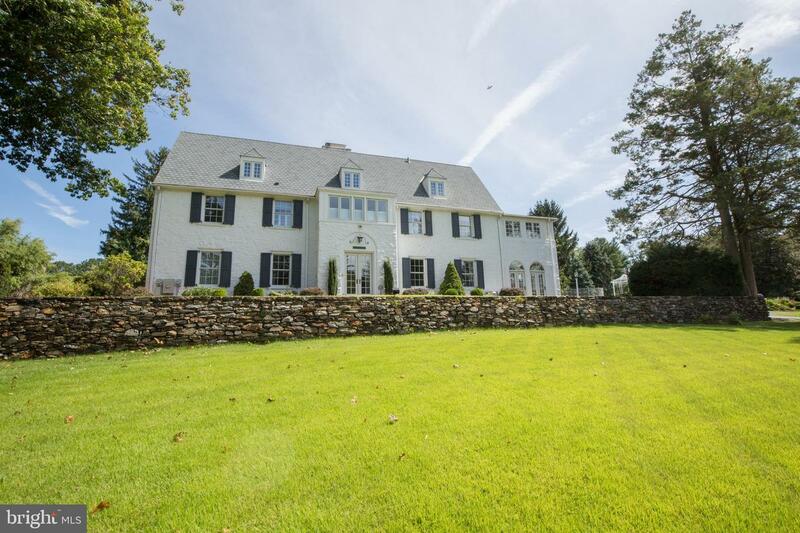 Close to Septa Bethayres train station. 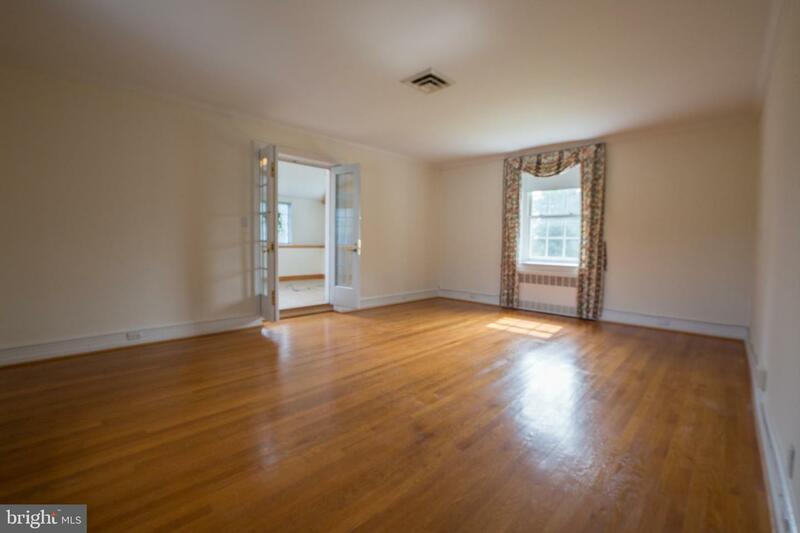 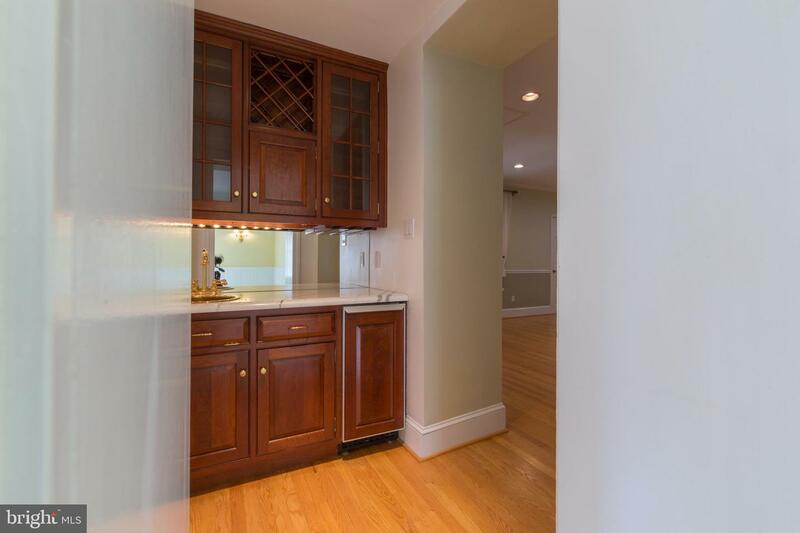 31 minutes to Center City & Trenton Train station to New York.